I remember Haiti's 2010 earthquake  clearly. I wasn't there physically, but the rest of me certainly was, in mind and heart. The Global Voices Caribbean team  published close to 50 posts about the rescue, relief, and recovery efforts in the two months that followed January 12, and we had a contingent on the ground for a short period in the early stages of recovery, to support Haitian netizens, who had limited access to electricity and internet, in sharing their own perspectives on the disaster. 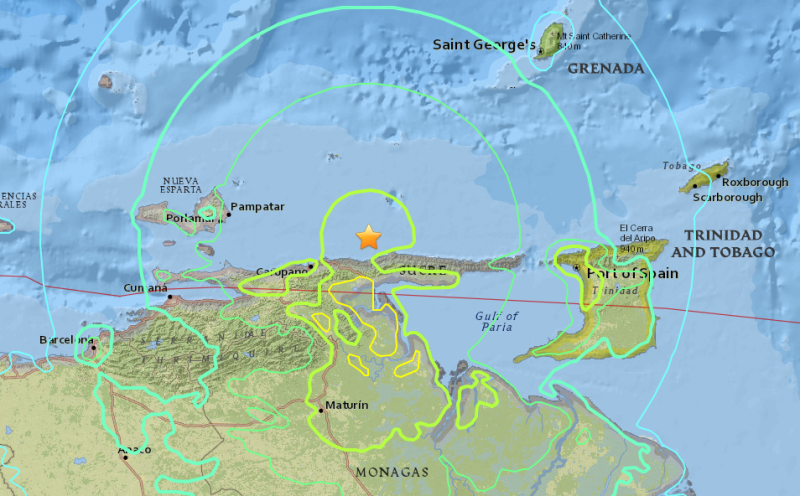 Haiti's earthquake, a startling 7.0 in magnitude, produced calamitous results: in the 30-40 seconds it lasted, it was as if a child had had a tantrum and trashed his Lego city. Both the death toll and the economic toll—burdens the struggling island nation was ill-equipped to bear—were staggering. Even from a distance, that earthquake changed me: it solidified the power of citizen media platforms to speak for people in disaster (and war) zones when traditional media could not even find safe passage. It was a phenomenon that would repeat itself, from the start of the Arab Spring  later that year to the ongoing crisis in Syria . But the event also solidified in my mind that we are our brother's keeper. A global community. There, but for the grace of God, go I. Within seconds, the rumbling got louder: I was suddenly face to face with an angry lion roaring over turf, walls trembling with its echo. I got up from my chair, looked out the window: my entire neighbourhood was off-kilter, so violent was the rocking. This was no run of the mill earthquake. I did what I never do: I got out of the house. By the time I reached the living room, I felt as if I were in the middle of a band on Carnival Tuesday, the music so loud it was bursting through the speakers and rattling everything around it: boom, boom, boom! The floor was moving to beat, dancing to a wicked, malicious rhythm—as one friend put it, a “dutty wine”  that just would not stop. The reason I ran outside was a strategic one: if anything started to crumble, I didn't want to be trapped. In the open air, I could at least see what might be in threat of toppling, and…well…avoid it. But in my backyard, surrounded by cocoa and poui trees  and a majestic immortelle , I felt strangely calm in the midst of the turmoil, and more present than I have been in ages. This is not to say that I did not call on God to make it stop. (In fact, those might have been my exact words.) But if anything was true in that moment, it was that we are all connected. Dualities faded away: from the birds in the trees to the bandits on the streets, we were all levelled. The things we allow to separate us seemed insignificant compared to the separation of tectonic plates. My husband called at 5:33 pm, just as the shaking was settling down. I had left my phone inside. It had never occurred to me to take it with me, far less film the event like so many social media users had, but the minute he told me he was still at the office I was out the door and in my car to go to collect my son. Electricity had gone; cell service was sporadic and I couldn't reach my son's friend's home to find out how they'd fared. The streets were emptier than usual, and quiet. People seemed stunned, save for one customer at a doubles  stand who was in full performance mode, demonstrating to the vendor how the quake had him shaking. I managed a smile. Trinbagonians routinely find humour in heartache. It's what gets us through.